Want a step-by-step plan for tracking, measuring, and monetizing social media? 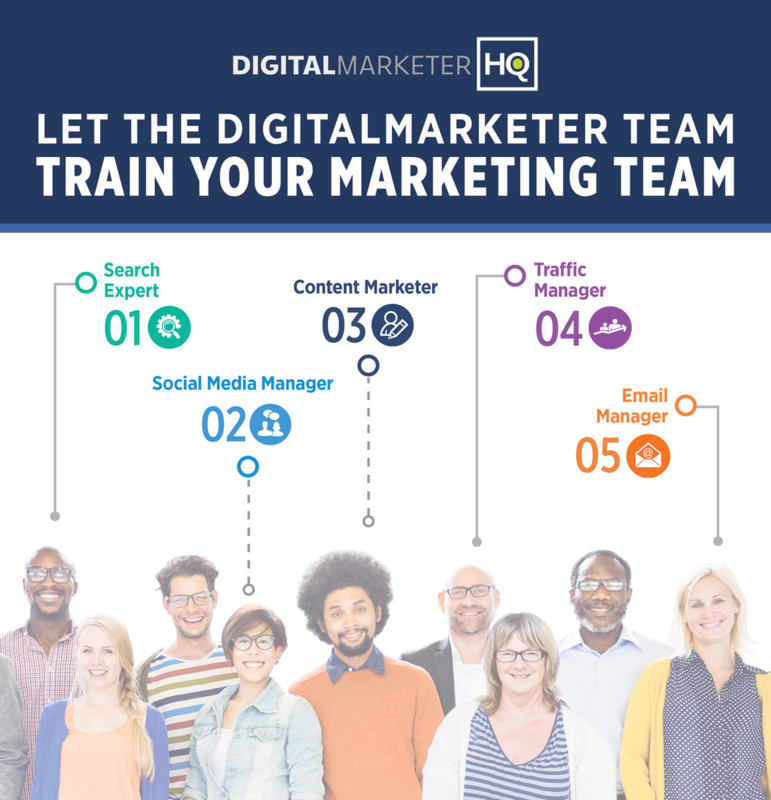 You can with DigitalMarketer’s Social & Community Mastery Specialist training and certification program. Click here to learn more! Your Social Media Manager is the foundation upon which your social media team is built. Add new members to this team based on the gaps presented by your Social Media Manager. For example, your Social Media Manager may be great at posting engaging social content and driving community engagement, but not so hot at creating attractive graphics and live videos. Use your next hire to close the video marketing and graphic design gaps. The last step in building a solid job posting is the addition of salary and benefits. Workable is a paid tool that posts your job listing on all major job boards and social networking sites, so you can knock out your recruiting efforts in one fell swoop. It also organizes candidates’ resumes and has a space for notes and feedback, so you can keep all your important hiring documents in one place. At the end of each module, you will be asked to take a short quiz prior to moving on to the next module. Once you have completed the entire course, you can then sit for the final certification exam. After passing this exam, you will earn the “Certified Social Media Marketing Specialist” designation, complete with a displayable badge and a printable certificate (suitable for framing). Ready to learn more and take the next step? Get all the details now. Want a PDF version of this hiring kit? Get it here!